around. It is surroundednby highways that makes access easy. Başakşehir is 20 Km away from Atatürk International Airport, and 25 km. away from Istanbul city center. 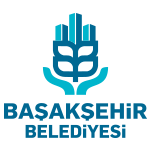 Başakşehir Wi-Fi and Başakşehir Mobile Apps. Opportunity of swiftly getting economical added value from products and services that are developed, due to the region being one of the world’s leading commercial centers.